Would you like to learn some fun songs on the ukulele? 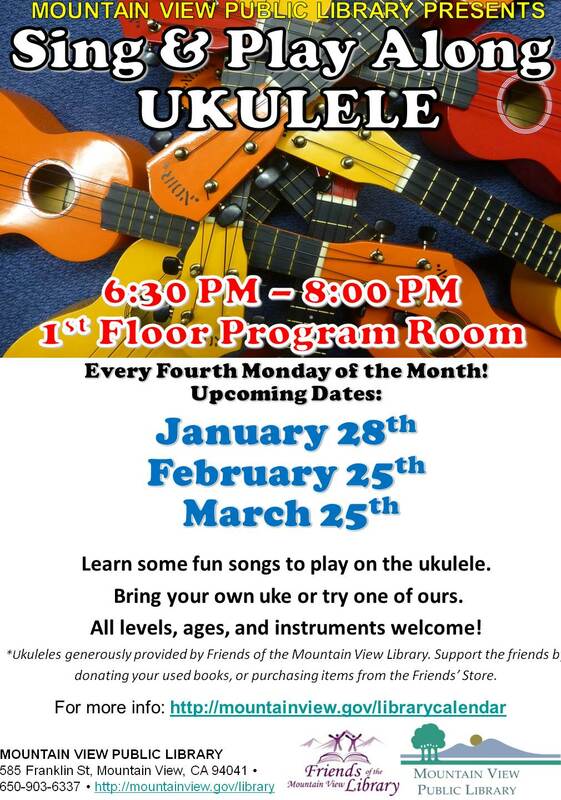 Beginners and ukulele enthusiasts are welcome to join us on the fourth Monday of every month to sing and play together. Bring your own uke, or use one of ours. Registration welcome, but not required!